the holidays are officially upon us and one of the things we like best about the season is celebrating with our friends, families and coworkers at holiday parties. it gives us a chance to catch up, reflect on the year that was, sip a cocktail or two (or three) and maybe even hit the dance floor. this year we thought we’d ditch the ironic christmas sweater in favor of something a little more glamorous. LET’S DRESS UP OUR SHOES! we found a great, inexpensive pair of high heels with a nice shape here, sourced some baubles at one of our favorite places in the LA fashion district, got a tube of high quality glue and got down to business. 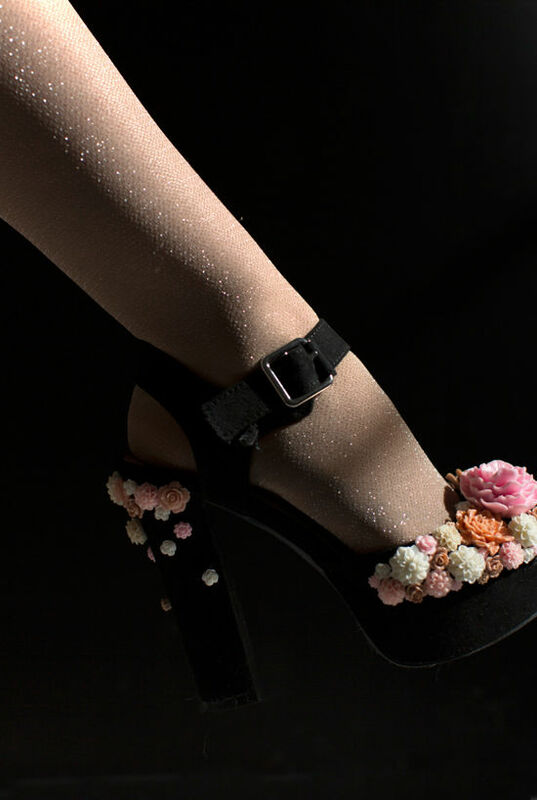 in no time at all we transformed a pair of simple platform heels into show stopping, party ready works of art that we might never take off our feet. i thought it was really cool that we could find one pair of shoes that allowed us to create three totally different styles that reflected the personalities of the girls in the studio. how FUN WOULD IT BE to have a holiday shoe decorating party!? very fun indeed. snap photos of yours and tag us so we can see your masterpieces. What’s the source of the heels? This is such a fun idea! I’d rather have fun decorating my own shoes than splurging on a very pricey pair. Thanks so much for sharing! Oh goodness, Bri, these are too cute! What a great idea! Your photography is the best! Love it! Where did you get the flower pieces?? A.Maz.Ing. I’m off and running to Target right now…. I love it!! I’ll recycle my shoes from last year and put designs on it. – Thank you for sharing. Where can I get the flowers . 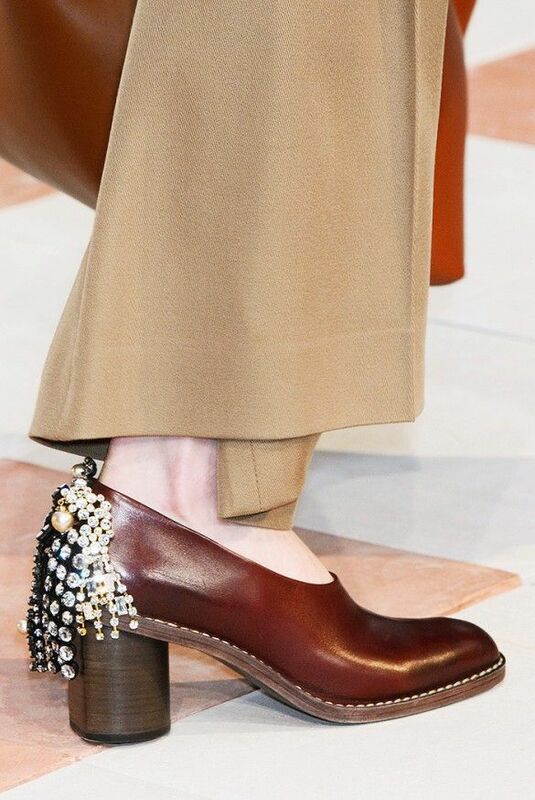 Some dangling jewels would look great too, like this one seen at Céline runway! 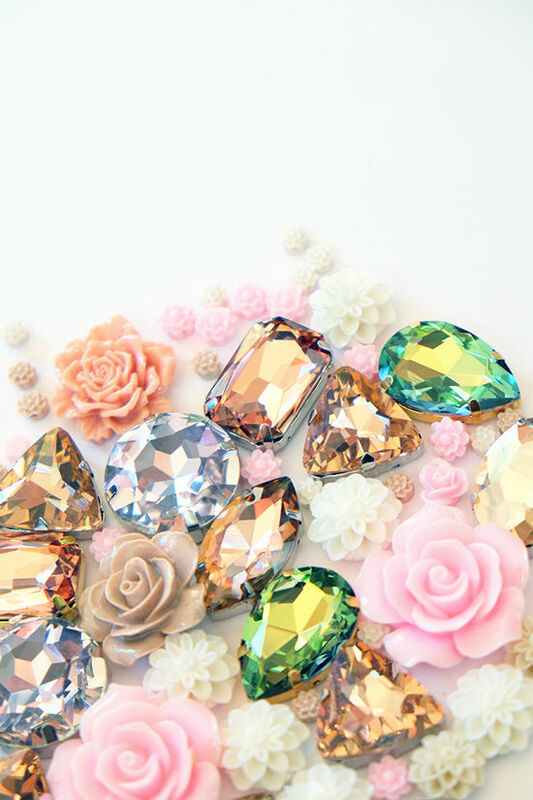 Where can I find the jewels ? ‘Are expensive HDMI cables greater than cheaper ones’. XP, Vista and Mac OS X operating systems. These wall plates are incredibly affordable and supply an excellent look. Where can I get the flowers ? we got ours at a local craft store! you could also look online.